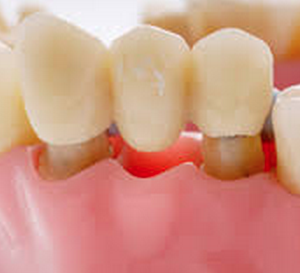 A dental bridge is an alternative to replacing missing teeth. This permanent fitting is laboratory built especially for your teeth. The artificial toothwill be supported by surrounding natural teeth. Once our team are happy, the bridge is cemented on the patient’s teeth – this is a permanent addition and not intended to be removable. Traditional bridge – involves having crowns on each tooth, adjacent (or either side) to the missing teeth. The replacement tooth is called a pontic. These bridges are cemented into place and can only be removed by a dentist. 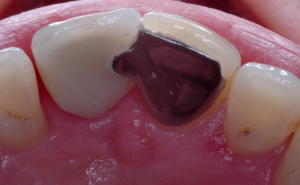 Maryland (resin bonded) bridge – replacement teeth having “wings” on 1 or 2 sides that are bonded onto the back surfaces of the adjacent teeth using composite resin cement. What is involved in making a bridge? The procedure is normally done under local anaesthesia whereby the dentist will spend approximately 1 to 1.5 hours to prepare the supporting teeth/tooth for a bridge. An accurate impression will then be taken and sent to a certified dental laboratory for fabrication of the dental bridge, which will be ready for cementation approximately 2 weeks later. In the meantime, temporary crowns or a temporary bridge can be fabricated to support the prepared teeth.